The best thing about Rome was that city sieges and fights for villages/fortifications worked nicely. They were a mess in Medieval 1, which I still believe to be the best Total War game, especially at its time. But both Rome and Medieval 2 made the tactical battles by far too easy and undemanding, strategically I also found Medieval 1 more interesting. Maybe it was the more board-like map of Medieval 1 that made it more interesting to me. I dunno if the Engine matters so much for the gameplay but I didn't enjoy the Total War games after Medieval 2 anymore at all. The series needs to remember its core and improve gameplay, strategical and tactical depth. The graphics are already fine enough for sure. The one thing that's got me losing faith in the Total War games is the new battle mechanics, where everything is based on little duels. Fair enough for Shogun 2, because that's what happened in real life so it makes sense, but in Empire? Totally ruined the game for me. You try to force a breach in a fort wall with some Life Guards of Horse, only to find one of them is halfway inside the fort, surrounded by men and not doing anything because too many enemies are trying to lock onto him. He just ends up standing still for around 5 mins. Totally ridiculous. They should go back to the Medieval 2 system, with kill animations but normal combat is just set moves. Ganging up on Spartans was really the only way to kill them with melee troops. I feel for the poor guys working on Europa Barbarorum for Medieval II. The first EB mod for Rome was phenomenal. 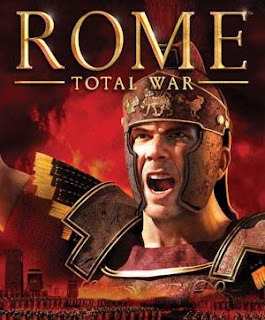 Although the vanilla version of Rome was good, the EB mod was light-years ahead, strategically deeper, and historically far more accurate. I look forward to what the EB team may do with Rome II. I enjoyed Shogun 2 alot and still play Rome and BI on occasion. This is great news. This is great to hear. My sons and I loved Rome Total War. I just hope they get it right. this is brutally off topic but did you get an advance copy of THE TWELVE yet? The sequel to THE PASSAGE? No. I wasn't sure if Orion were even doing them, given what a massive success THE PASSAGE was.